The owners of the Fernandina Beach Market Place, a farmers’ market located on Amelia Island, have added a new market featuring local arts & crafts by talented artisans from our community, in additions to the fresh produce and other delicious treats you’ve come to expect from the popular, downtown farmers market. The new arts & crafts market is called the Fernandina Beach Arts Market. 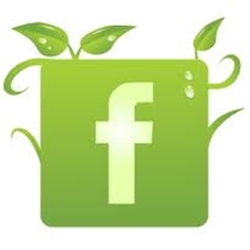 Looking for the Fernandina Beach Market Place farmers’ market? 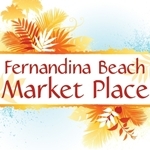 Looking for the Fernandina Beach Arts Market? The Fernandina Beach Market Place farmers’ market is located on N. 7th Street in historic, downtown Fernandina Beach. Join your family, neighbors and friends at this weekly event where farmers, growers, and entrepreneurial individuals sell locally grown and produced goods to those living in, and visiting, our friendly little community. The farmers’ market is open on Saturdays, from 9 a.m. to 1:00 p.m., year ’round, rain or shine. The Fernandina Beach Arts Market is now open on the 2nd and 4th Saturdays of the month, from 9:00 a.m. – 1:00 p.m., and is currently accepting applications for new vendors. The Arts Market includes arts and crafts which are not permitted in the North Seventh Street farmers’ market. Located adjacent to the farmers’ market, the Arts Market offers a unique shopping experience in a convenient location. Please call (904) 557-8229 for more information about the farmer's market in historic, downtown Fernandina Beach, Florida.